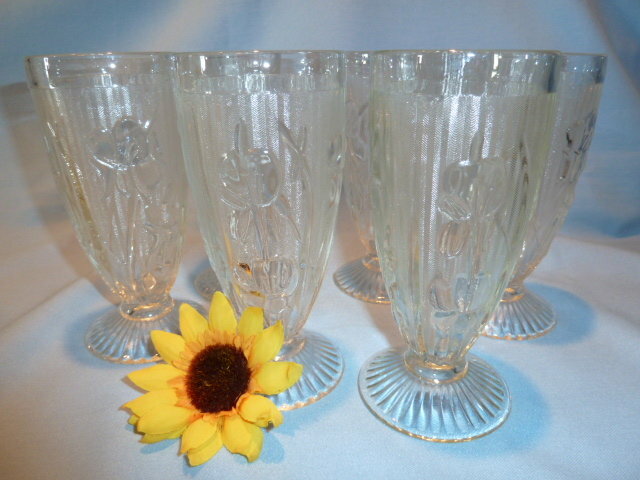 Beautiful Jeannette Glass Iris & Herringbone Crystal footed water tumblers or glasses. Each measures just over 6 inches tall and 2 3/4 inches wide at the top. 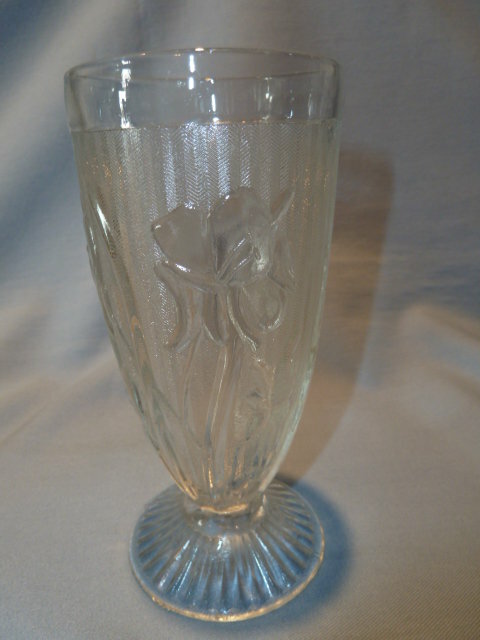 Frosted herringbone pattern with clear Iris around the glass. Clear rayed footed base. In excellent condition with no chips, cracks or repairs. 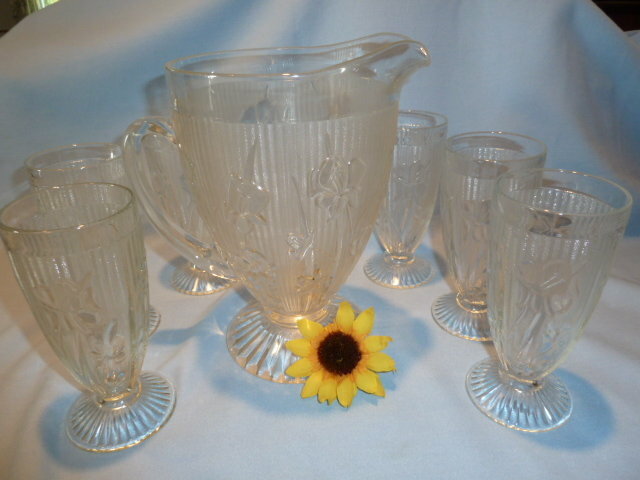 There are six (6) available and are priced individually. 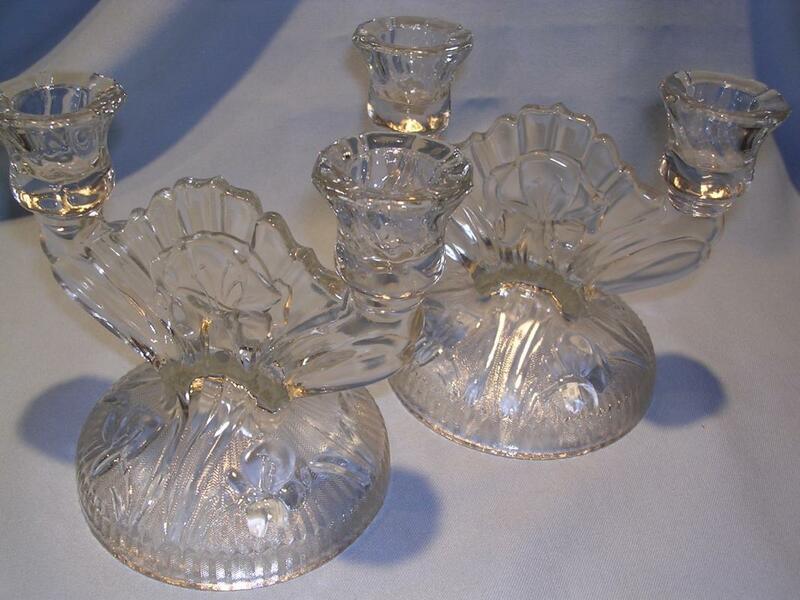 See the matching large pitcher and candlesticks.We are happy to combine items for shipping when possible. Items Similar To "CLEAR JEANNETTE IRIS & HERRINGBONE FOOTED WATER TUMBLER GLASS"